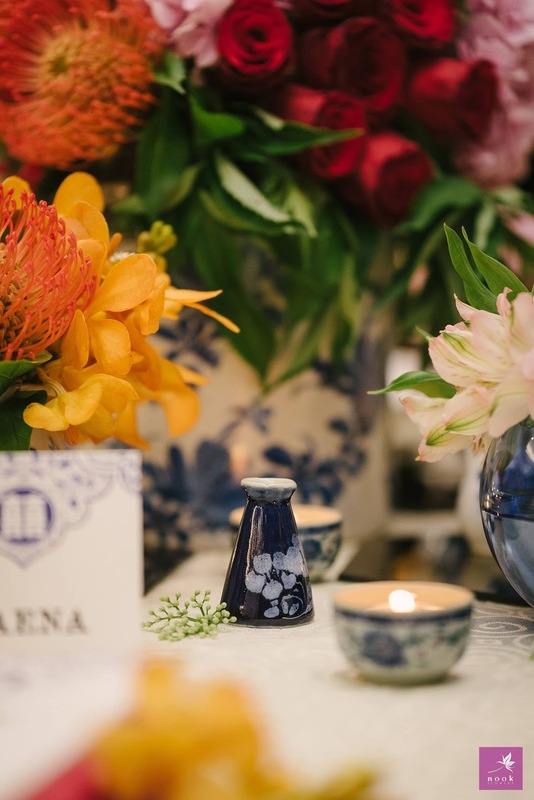 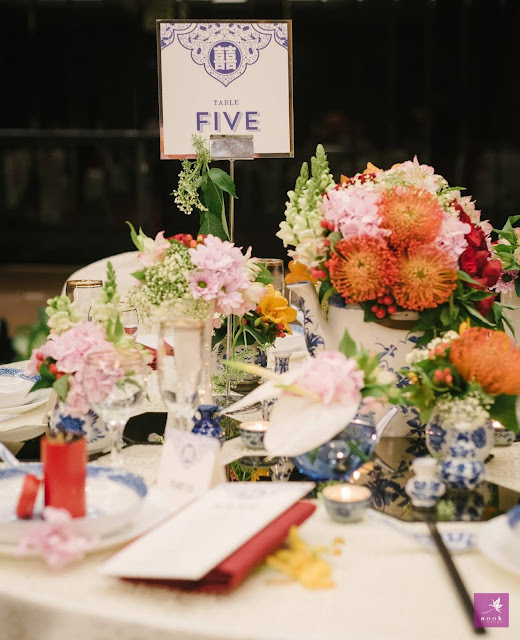 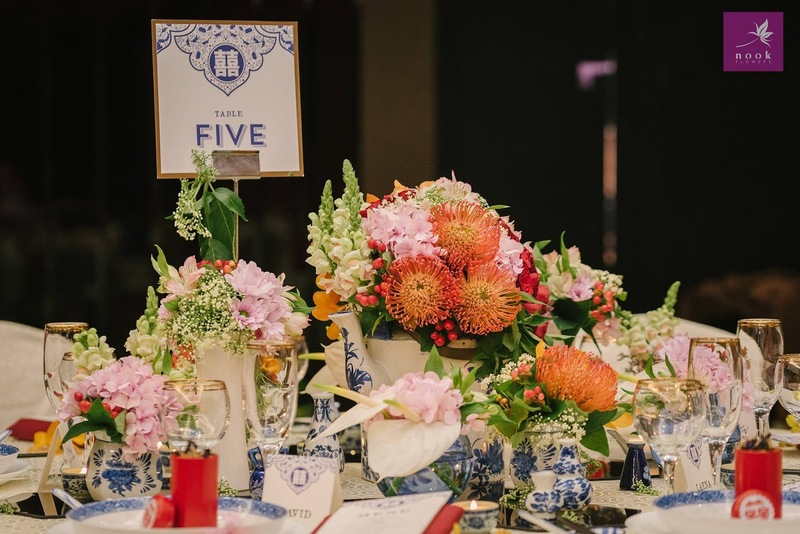 This tablescape by Nook Flowers is themed Chinoiserie Chic - a melding of old world charm and an eclectic, modern, blooming colour palette. 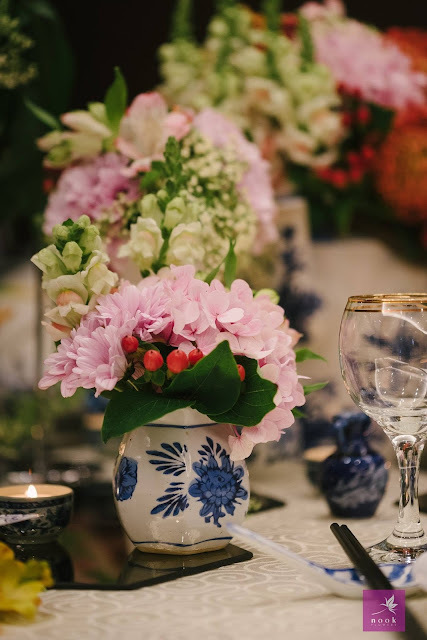 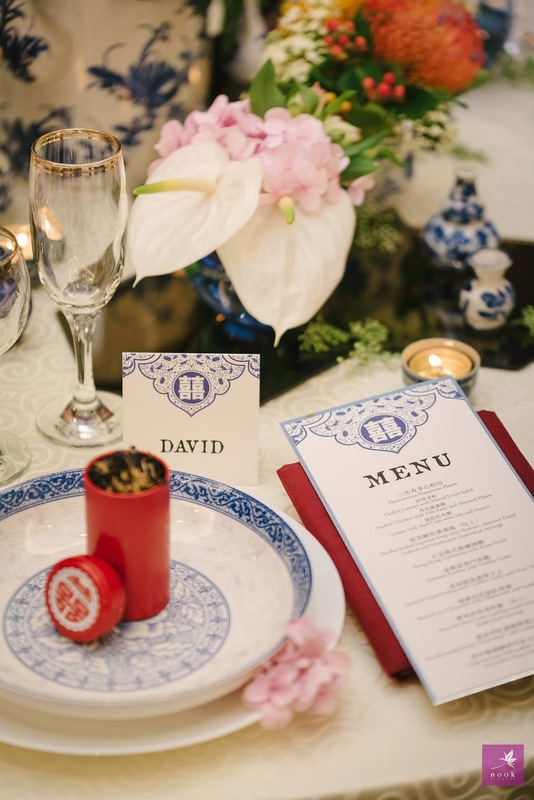 Chinoiserie or the fanciful, whimsical, and flamboyant European interpretation of the Chinese style of deco, presents beautifully as a wedding theme. 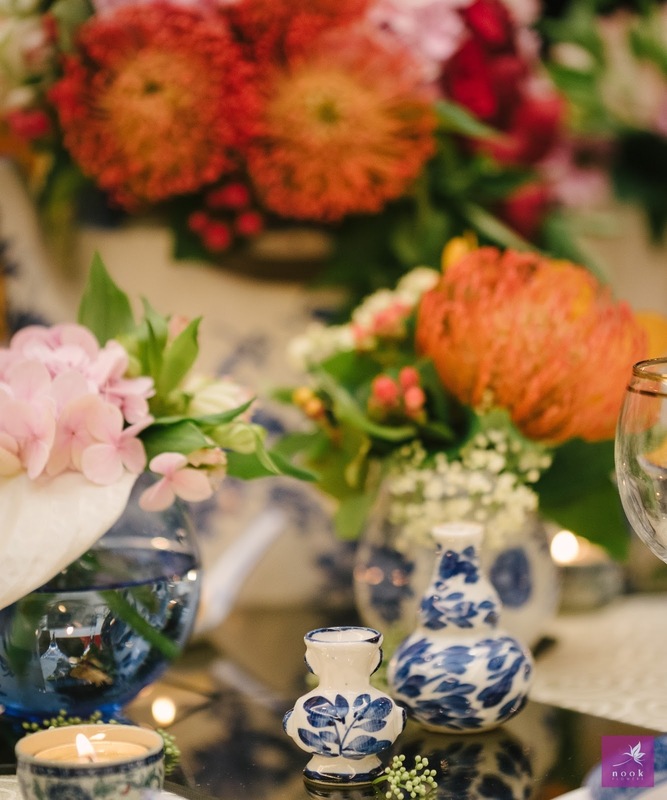 The cool hues of the vintage blue and white porcelain - the French call it Blanc de Chine͟ - is unusually paired with flamboyant, exotic textures of flowers with bold colours. 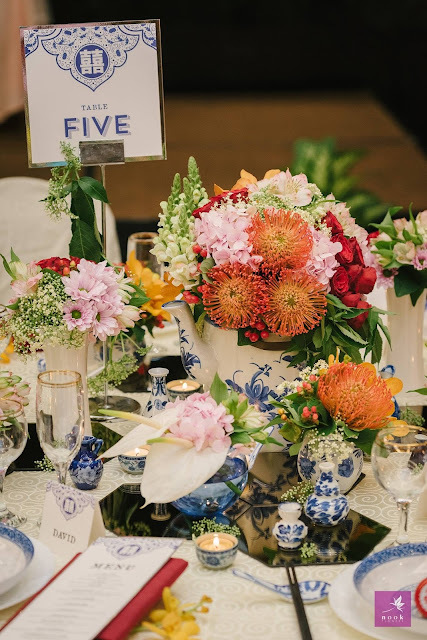 The choices of flowers utilised were roses, hydrangea, pincushion protea, snapdragons, chrysanthemums, hypericum berries, rice flower, alstromeria and anthuriums. 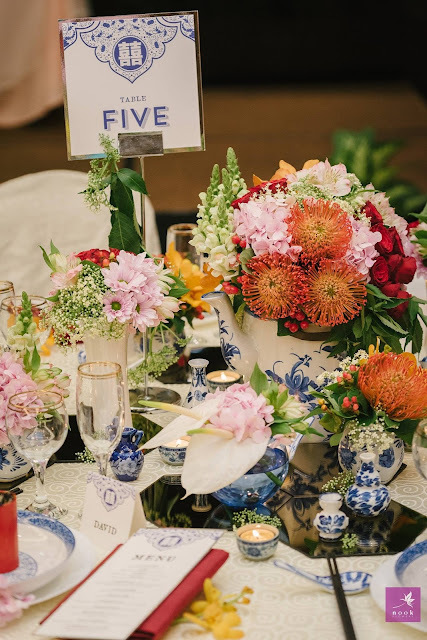 Collaborative partners: Organised by Association of Wedding Professionals (AWP) Malaysia. Photo by Mphotoo​. 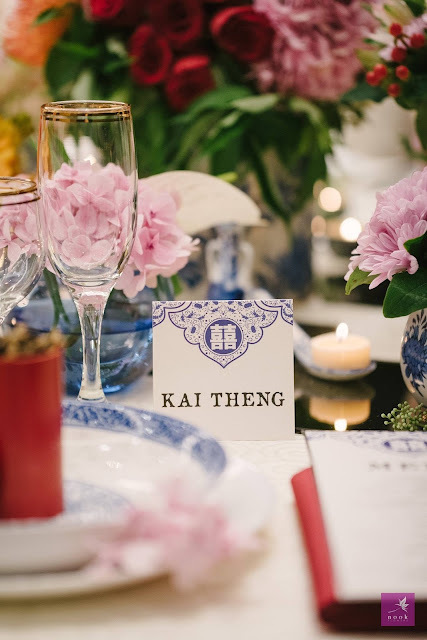 Venue courtesy of Official Tai Thong Group Malaysia​. 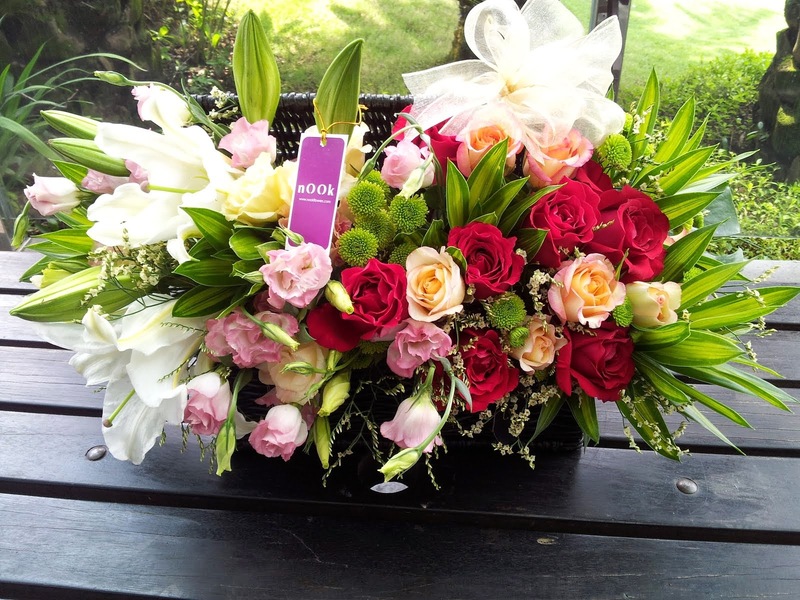 Stationery by Acadia Card. 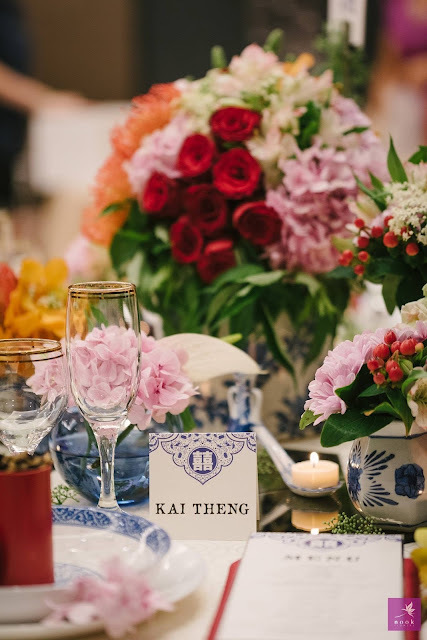 Wedding favour SS2U Wedding​.